Newest smok procolor vapor starter kit includes procolor mod and TFV8 big baby tank, seven fashionable colors available. 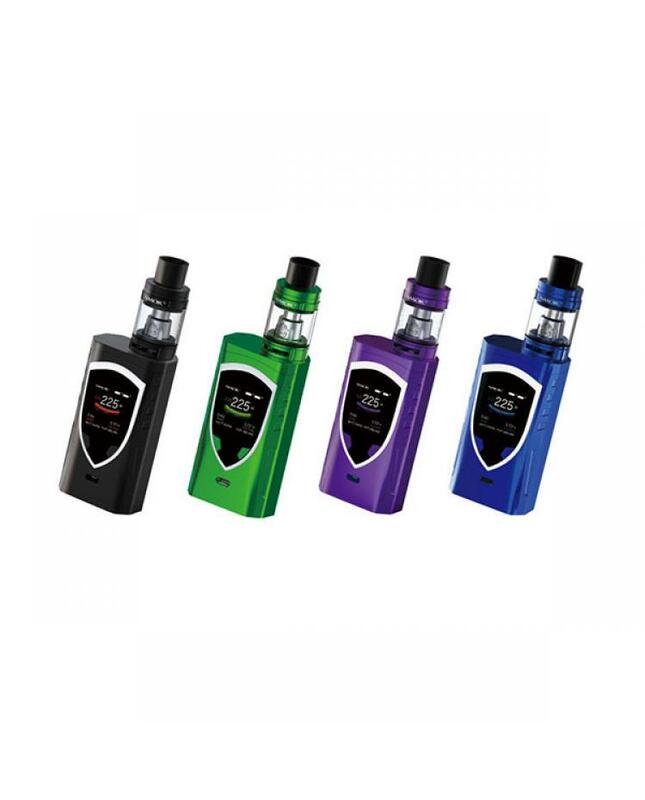 the procolor mod with brand new ergonomic design, the innovative shield-shaped area consists of large OLED screen and "UP" and "DOWN" buttons, six different colors screen setting, vapers can set it to blue, purple, yellow, red, white or green. 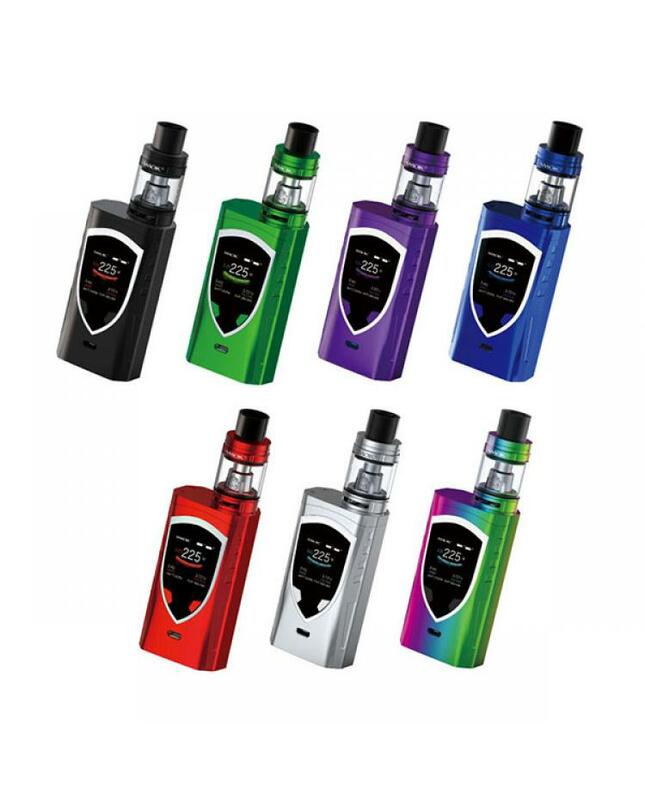 the clearly OLED screen combines with an entirely new operation interface, will show the vaping data clearly to you, 12 different colors LED backlight, 5 light style, and 3 light up LED strips available, will let your vape gear looks unique and fashionable. the procolor mod powered by 2ps 18650 batteries and max output 225watts, it supports VW, TC-NI, TC-TI, TC-SS and memory working modes, support resistance as low as 0.06ohm under temp control mode. 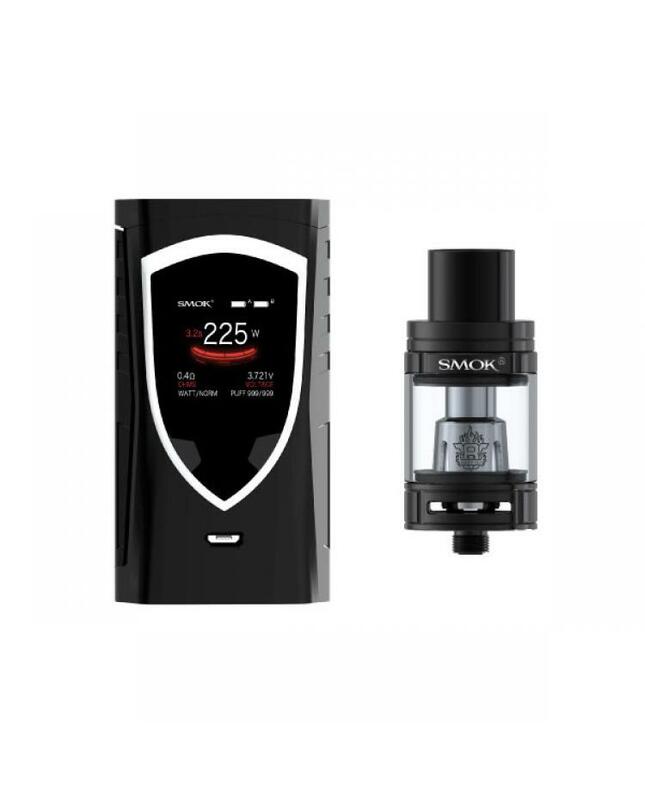 can connect the smok vapor mod to your PC via the micro USB port to upgrade the firmware. if you want to charge the batteries, better use a battery charger. the multiple functions will ensure the vape and charge reliable and safe. the TFV8 big baby is one of the best beast tanks by smoktech, can hold 5ml e juice, wide bore Delrin drip tip, and convenient bottom airflow setting will allow vapers to adjust the airflow to your preference easily, the top refill system will allow you to inject the e juice easily and quickly, no leaking problem, the packing comes with v8 baby-Q2 and V8 baby-t8 SUB OHM coils, will brings vapers massive cloud of vapor and flavor.